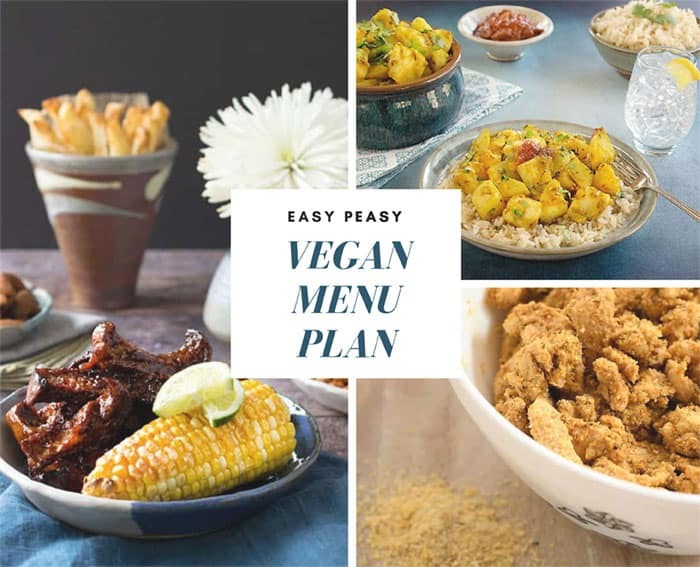 Home » Vegan Menu Plan » Easy Peasy Vegan Menu Plan for Crazy Busy Weeks! Some weeks just seem a little out of my grasp. Even when my fridge is bursting with fresh veggies I can be too tired or too busy to really cook an involved meal. My Easy Vegan Menu Plan will help you get through the week! What Makes This an Easy Vegan Menu Plan? First off there’s a recipe for you to make every night for dinner, I guess that’s where the vegan menu plan comes in. 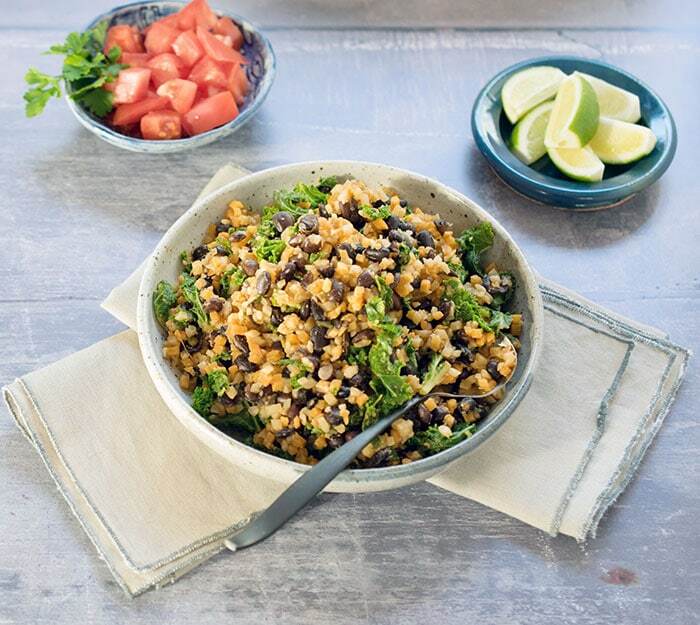 The easy part is that some of the meals are super easy with not so much prep like the Quick and Easy Weeknight Vegan Skillet Meal that uses cauliflower rice that makes it a super fast weeknight recipe. 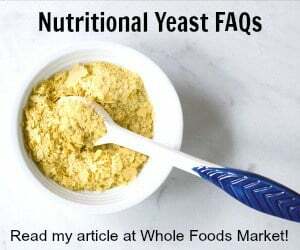 You Want Me To Make Seitan from Scratch? You are going to be surprised at how little time it takes to make the seitan ribs and the vegan skillet meal comes together super fast. 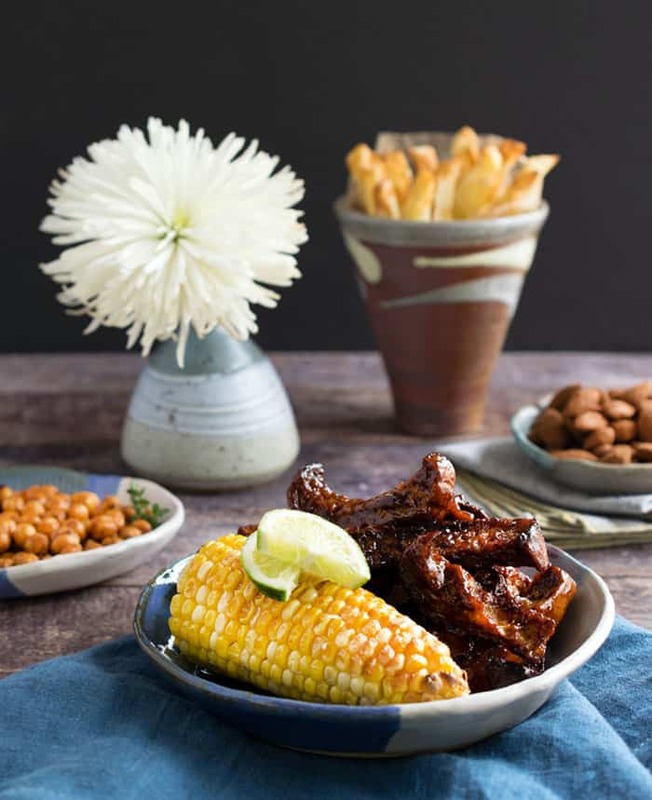 Do I Need an Air Fryer to Make This Menu Plan? Some of these recipes use air fryers, but you can bake them in the oven if you don’t have one yet. With the Instant Pot dishes you can cook on the stove-top, but you will need to add more liquid as needed and cook much longer. Monday: At the end of a long day, I don’t want to think about cutting up more veggies and cooking an involved recipe for dinner. 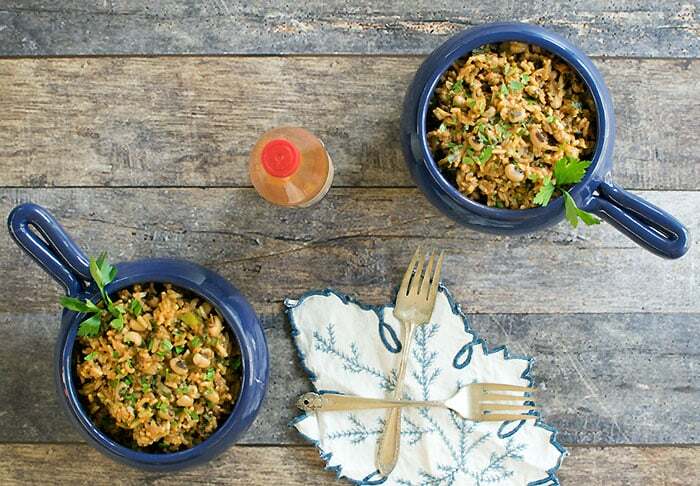 This Quick and Easy Weeknight Vegan Skillet Meal is the solution to being too busy to cook. 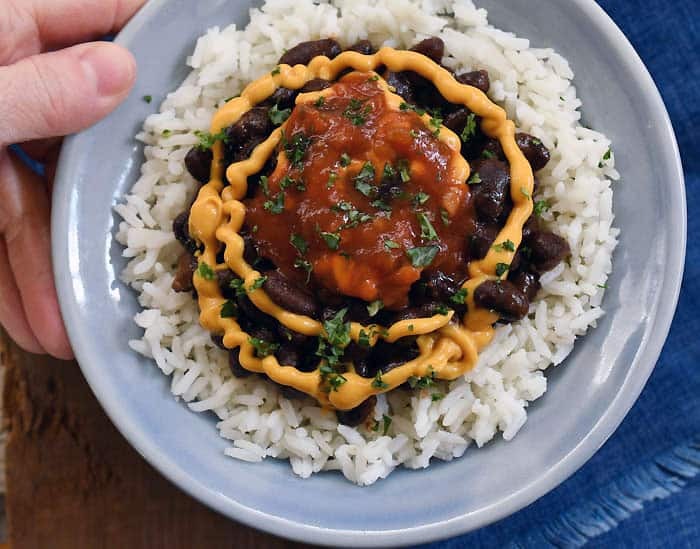 Tuesday: Throw some ingredients in your Instant Pot and enjoy the spring weather while your Instant Pot Vegan Black-Eyed Pea Jambalaya is cooking. 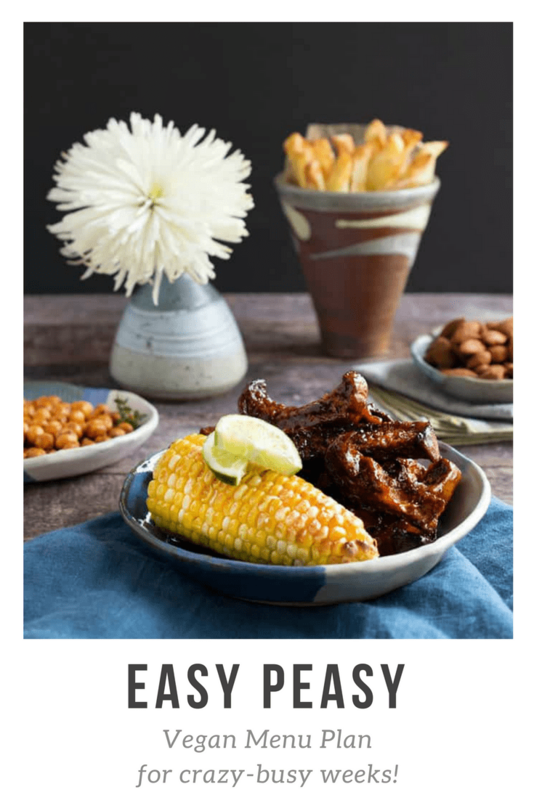 Wednesday: I know I’m asking you to make seitan from scratch, but Easy Air Fryer Seitan Vegan Riblets is quick and easy. 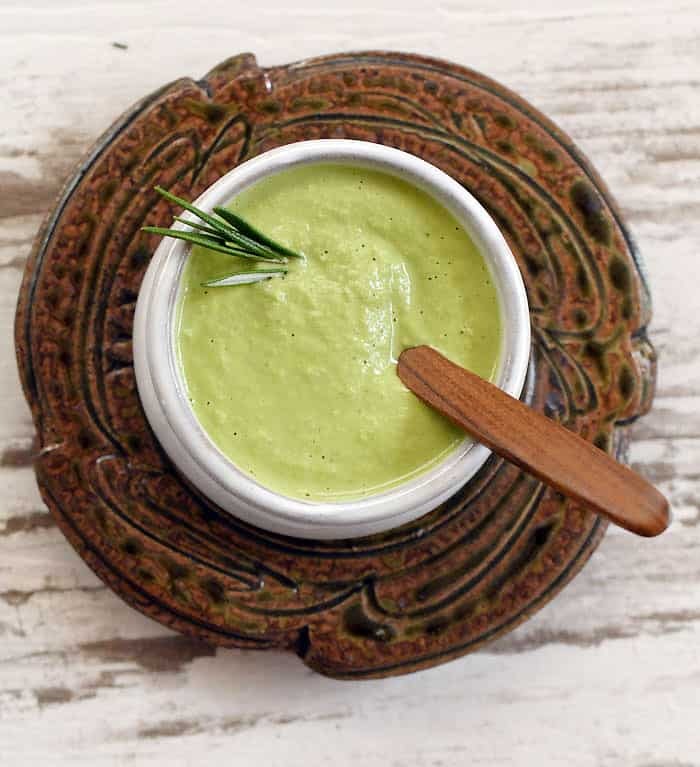 Thursday: This Vegan Kale-Stem Creamy Sauce is easy and you can serve on pasta or spiralized veggies. 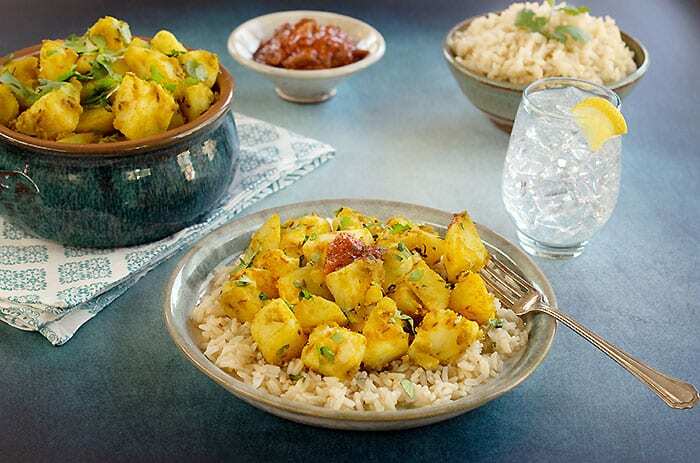 Friday: Save some money and make this Indian-Style Cumin Idaho® Potatoes (Vegan Aloo Jeera) at home instead of going out. It’s super easy and you can even cook the potatoes ahead of time. Saturday: Make a pot of San Franciscano Beans (or use plain old black beans in the recipe) and make bowls for dinner. Pack up leftovers for lunch next week! 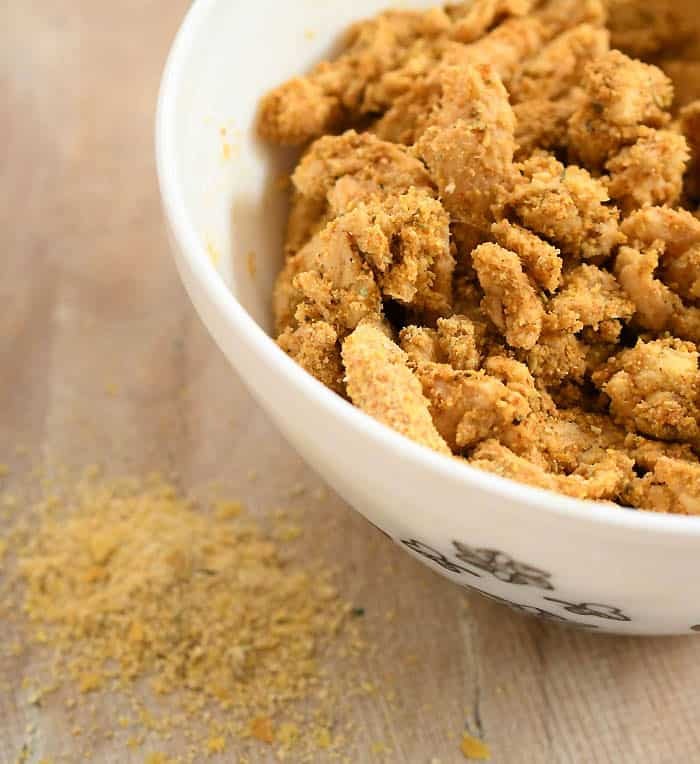 Sunday: Have a traditional southern Sunday dinner with these Air Fryer Southern Fried “Chicken” Soy Curls. If you don’t have any soy curls, use cubes of firm tofu or even lightly steamed cauliflower florets instead. 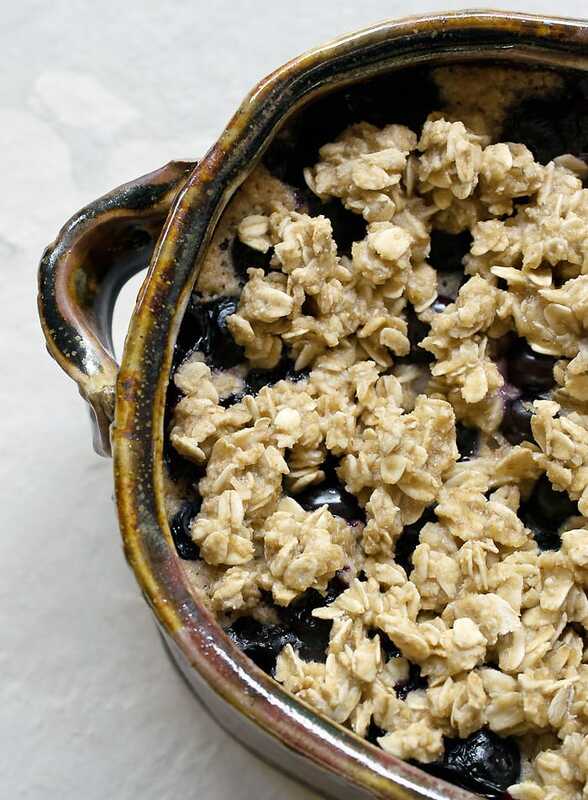 Dessert: Make this Blueberry Buckle with No Oil Added once and have dessert all week. It uses sugar, but you can use the sweetener of your choice instead or if the berries are super sweet you can leave it out entirely! Be sure to share this menu plan with your friends on Facebook, Pinterest, and by word of mouth!